Don't just celebrate a Bat Mitzvah, become one! Who: The Bat Mitzvah Club is open to Jewish girls ages 11-13. NO affiliation neccesary. What's the point of a Bat Mitzvah anyways? 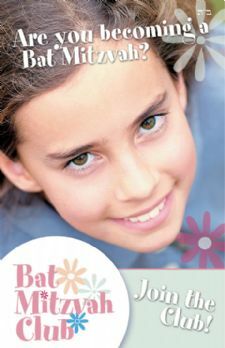 Your daughter’s Bat Mitzvah is approaching and the celebration of a Bat Mitzvah is one of the highlights and great milestone in the life of a Jewish woman. We must remember that the most important aspect is not the party but rather the impact and long term effects this experience will have on your daughter’s identity as a Jew. We have to make sure that the Bat Mitzvah is not viewed as a graduation from Judaism, but rather the bright beginning of a vibrant Jewish life. It is for this reason that we have formed the Bat Mitzvah Club. The club has been tremendously successful all around the country including various locations in Arizona. We plan to enjoy many successful years to come. Please feel free to email me leah@OurJewishCenter.com or call me at 480-442-8672 if you have any questions regarding the Bat Mitzvah Club or if you wish to join. *This club is not a preparatory to celebrate the Bat Mitzvah at Chabad. If girls will be celebrating their Bat Mitzvah with Chabad or want instruction through Chabad, we will provide one on one classes with the individual girl 4-6 months prior to the Bat Mitzvah celebration date.